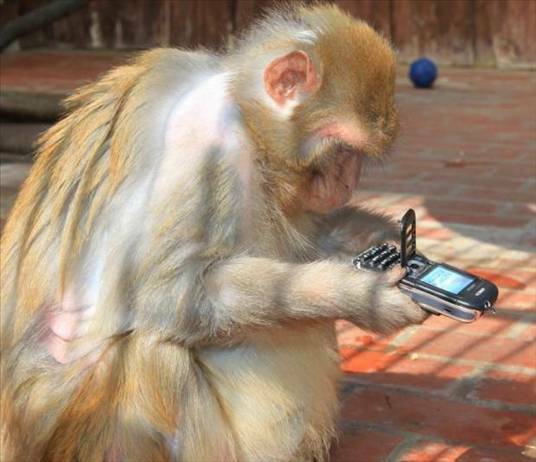 The owner of this phone is about to go ape. 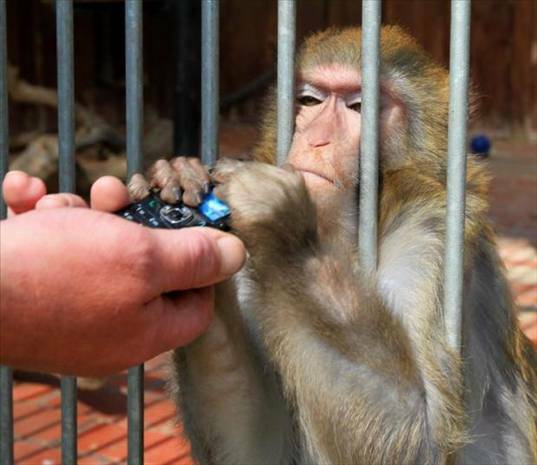 Visitors to Germany’s Westerhausen Zoo find it hilarious when Wolle the rhesus monkey reaches out to take their mobiles. 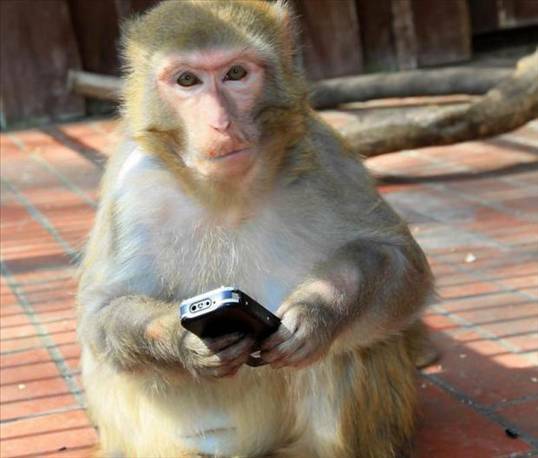 But they soon regret succumbing to the cute chap when he begins tearing the phones apart and stashing the ruined pieces around his feet. 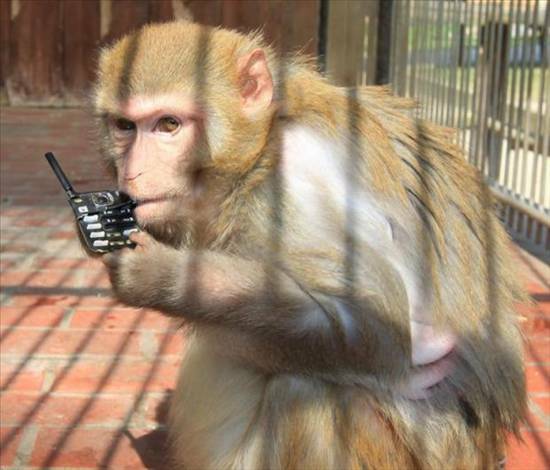 Having fooled a number of unsuspecting tourists, the monkey has enough mobile phone cases for a stall in EastEnders.